In resurrecting my blog, I have decided to start by posting poetry every Wednesday. Because... well.... poetry is beautiful. And transcendent. And my daughter is becoming a poet. I will do anything to encourage her in her craft. I write poetry. I wouldn't say my poetry is beautiful, or even very good. But poetry is sneaky, its form and brevity belying a hidden strength. And an underestimated staying power. As true in our time as in the time Willy wrote this sonnet and every time before and since, when the monuments of wasteful war are overturned, love and verse shall remain. 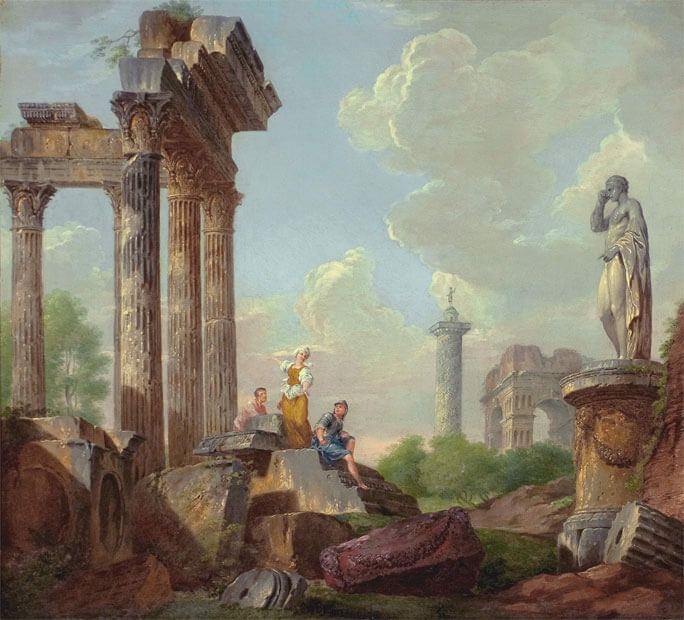 Gian Paolo Panini, Figures Conversing Among the Ruins, oil on canvas, ca. 1760.